We rent single and double kayaks as well as surf boards and stand up paddle boards. By the day or week and delivered to your location. We offer guided bay and river kayak trips and lessons for kayaks, paddle boards and surf boards. Call (850) 927-2999 to Book Now! We have Hobie sailboats as well. 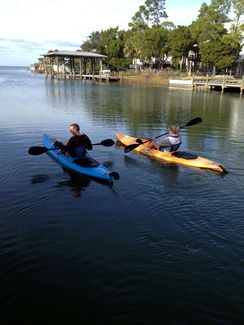 We carry Hobie, Body Glove – Pelican, Ocean, Fishing and other kayak models complete with life jackets and paddles. We are priced as the most affordable on the island.